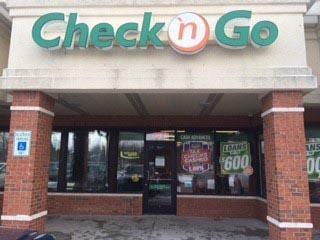 When funds are tight and you need money quickly, visit Check `n Go in Grand Blanc. * You’ll receive fast and friendly service. Our experienced associates understand that unplanned expenses occur every day. In MI, Check `n Go offers payday loans from $50 to $600. Don’t allow unplanned expenses to become a burden. Your neighborhood Grand Blanc Check `n Go is here to help you get the money you need when you need it. Check `n Go Grand Blanc is conveniently located near Sprint on East Grand Blanc Road,. We also offer Netspend® Prepaid Mastercard®. Stop in today, or you can apply online anytime and from anywhere. *Approval depends upon meeting legal, regulatory and underwriting requirements.